Honey Stinger is Buzzing into Spring with New Products! Honey Stinger is buzzing into spring with two new products! We have expanded our organic waffle line with a new caramel flavor. The new caramel waffle is comprised of a thin layer of honey infused with delicious caramel and sandwiched between two thin waffles. Why caramel? We have also expanded our energy chews with a new grapefruit flavor. Yep, that’s right…the sweet and sour grapefruit flavor that everyone loves is now available in our grapefruit chews. These chews will surely awaken the taste buds but won’t make your face scrunch up because they are too sour. 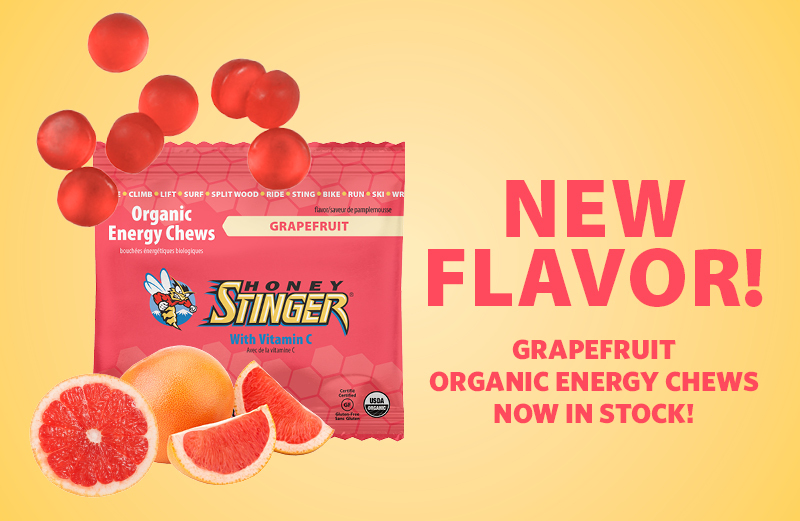 Our new grapefruit energy chews are certified organic, certified gluten-free, and fortified with 100% RDA of vitamin C. They are sweetened with organic honey and tapioca syrup and provide a natural and sustainable source of energy! 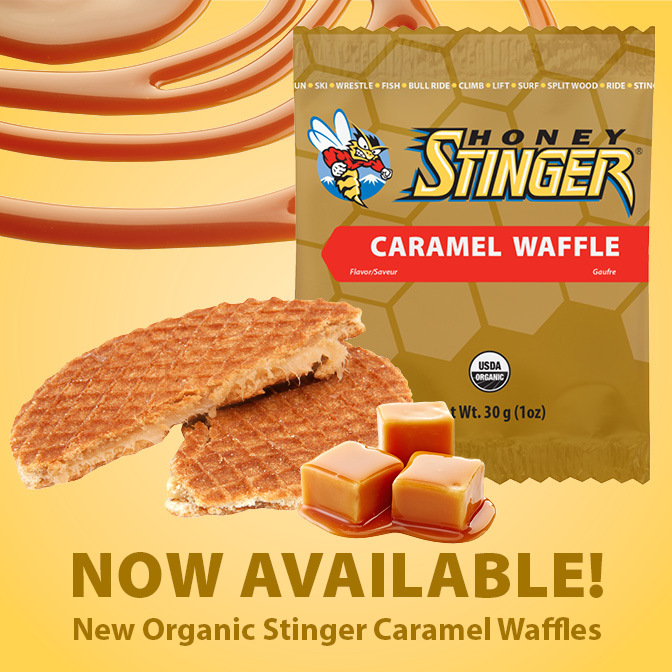 This entry was posted in Uncategorized and tagged caramel flavor, Honey Stinger, organic honey, Waffles. Bookmark the permalink. 1 Response to Honey Stinger is Buzzing into Spring with New Products!